R.L. Stine and original Goosebumps illustrator Tim Jacobus have teamed up for a new project. It's the first time that the duo has collaborated in years and for fans of the original series, this is a big deal. Much like the working relationship between Scary Stories to Tell in the Dark author Alvin Schwartz and artist Stephen Gammell, Jacobus' artwork is instantly recognizable and helped to sell a boatload of books in the 1990s and early 2000s. In a recent interview, Tim Jacobus revealed the good news. He wasn't able to give out any specifics about the project with R.L. Stine, but he did reveal that it's really happening and that it should be out before the end of the year. It isn't believed that the project is Goosebumps related. Jacobus had this to say. "R.L. and I haven't done anything together in about 15 years, and I can't tell you too much about it, but we are working together again... There's gonna be something he wrote with some of my artwork on the cover. I just recently finished it up. My part is done. My guess is, we're looking at the usual six month turnaround. It'll be probably the Fall. There'll be something there for you to see." Tim Jacobus is arguably best-known for his work with R.L. Stine, illustrating nearly 100 books in the Goosebumps series. Back in the 1990s when Jacobus was working with Stine, it would take him about 30 to 40 hours to complete one painting that would make it on the cover of a Goosebumps book. The illustrator would wake up at 5 AM and get right to work, listening to some of his favorite music, which included prog rock band Yes, whose album covers contained the art of Roger Dean. Roger Dean's surreal artwork on the 1970s prog rock covers was a huge inspiration for Tim Jacobus. Emulating that kind of style, Jacobus would use acrylic paint and then go over some of it with airbrush techniques that gave it a hyper-realistic touch while also giving them distorted and almost fisheye lens looking perspectives. The illustrator was chosen for the Goosebumps gig because his artwork featured a lot of color, which publishers said would catch the eyes of more children. 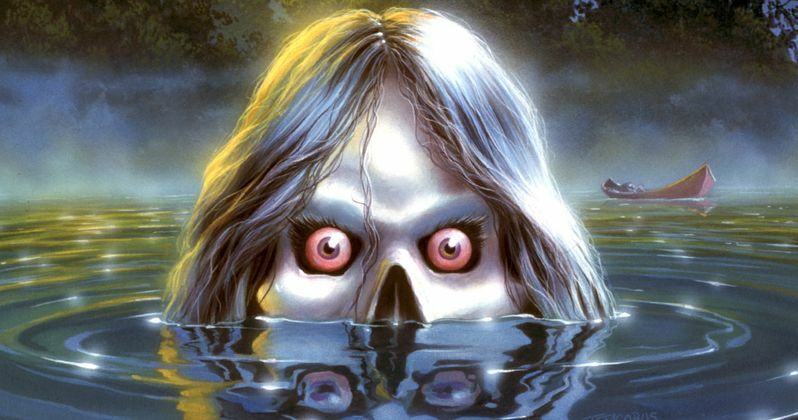 Tim Jacobus' colorful children's horror art is now widely recognizable and a part of what inspired the look of the Goosebumps movie franchise. It's going to be interesting to see what the artist has come up with for his new project with R.L. Stine. He has mainly been using computers for the bulk of his art lately, but he may have gone back to the traditional paint and airbrush techniques that made millions of kids pick up a book when the probably would not have done so before. Hopefully more details will be released soon. The interview with Tim Jacobus was first conducted by the Ghoulish Show Twitter account.